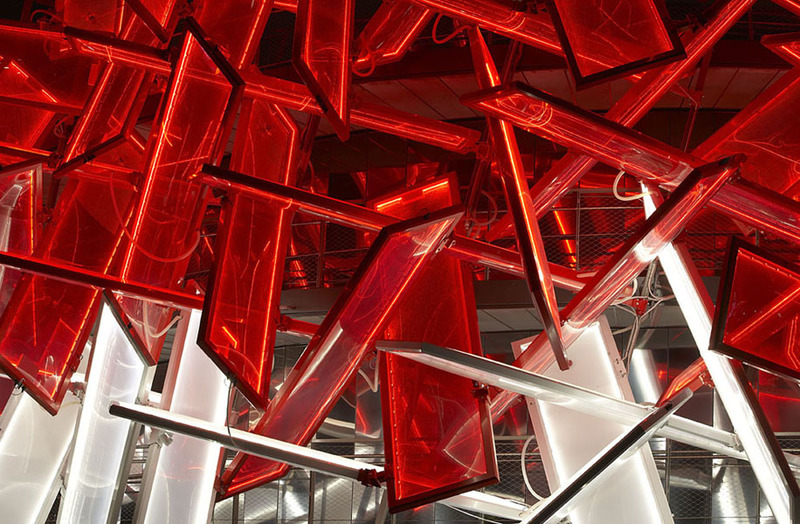 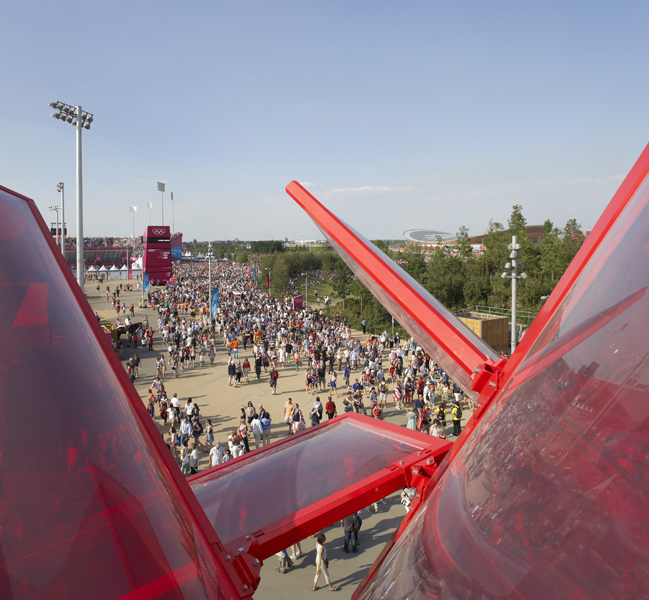 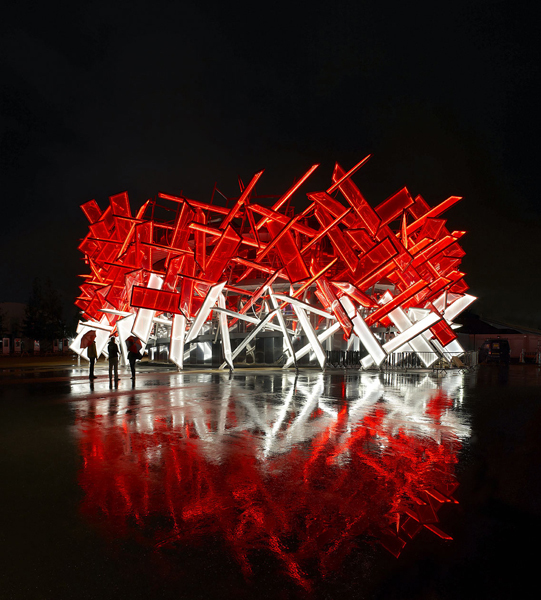 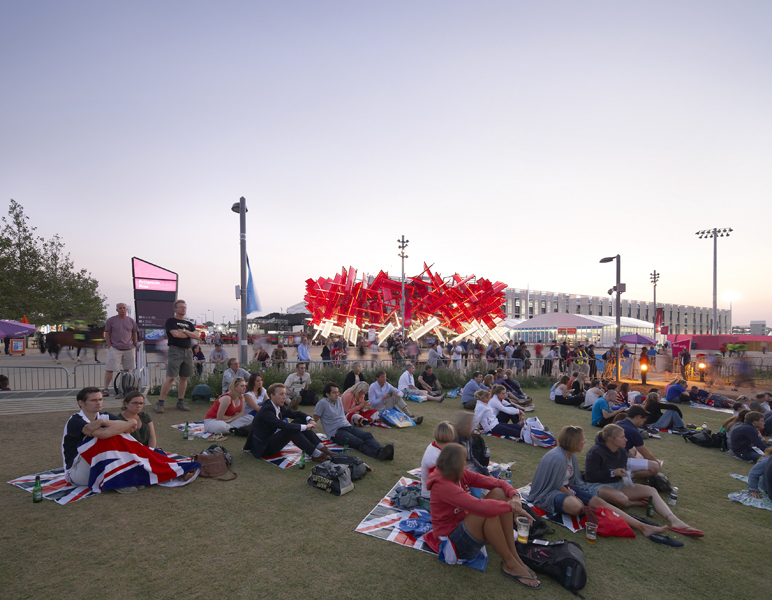 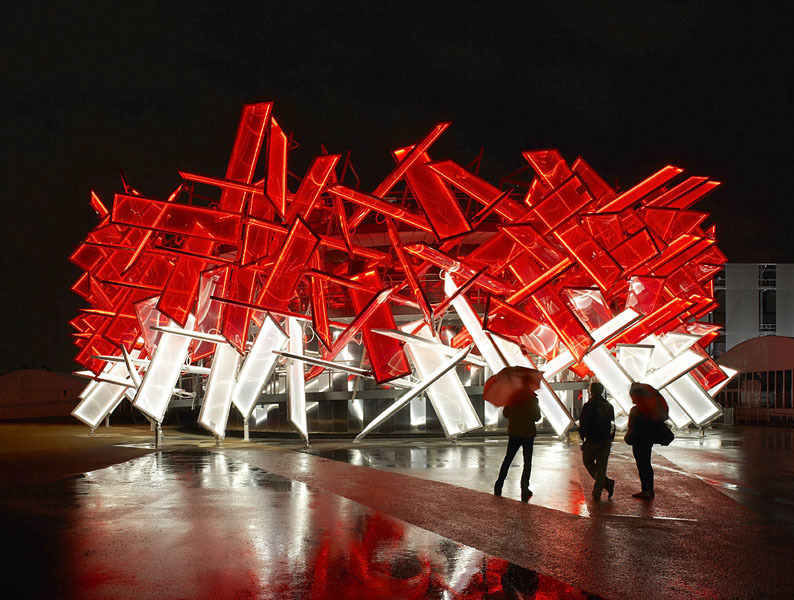 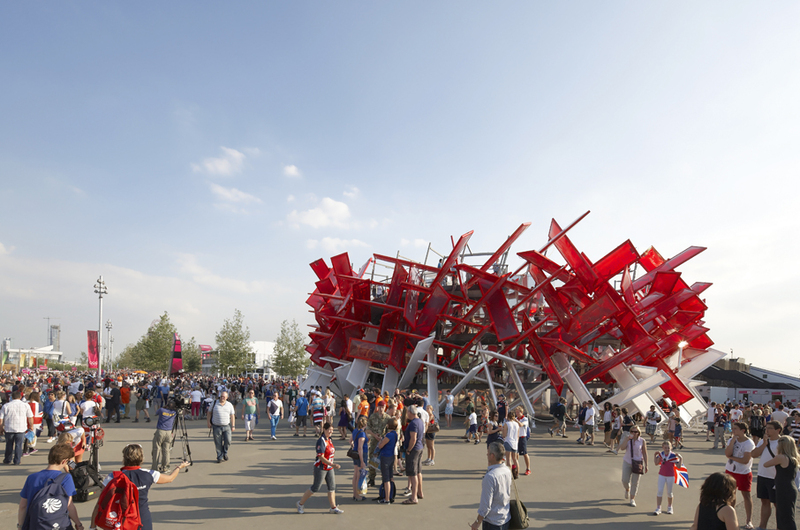 The Beatbox was commissioned by Coca-Cola, following a competition to design their Showcasing Pavilion for the 2012 Olympic Park in London. 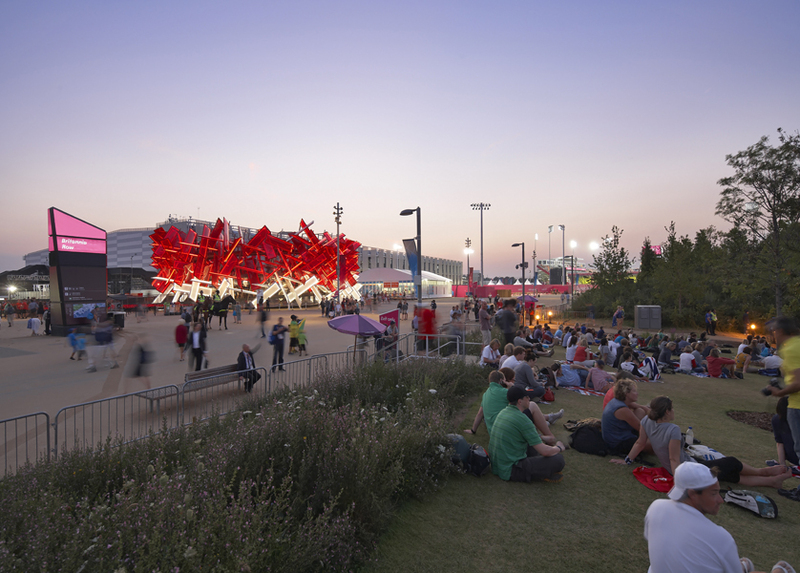 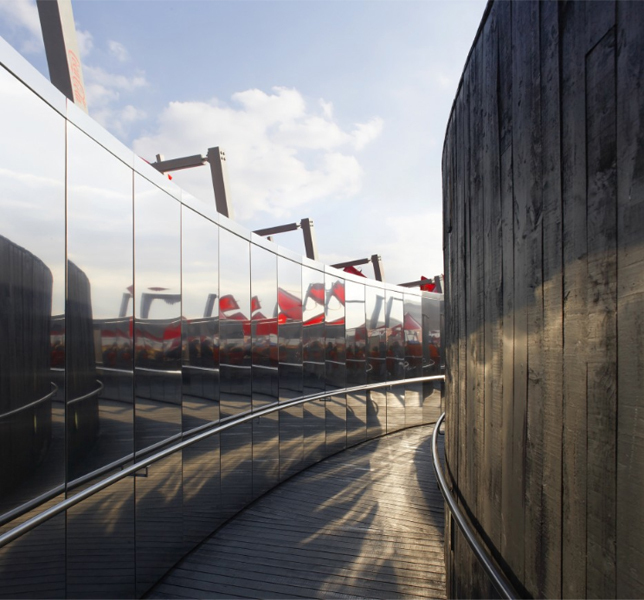 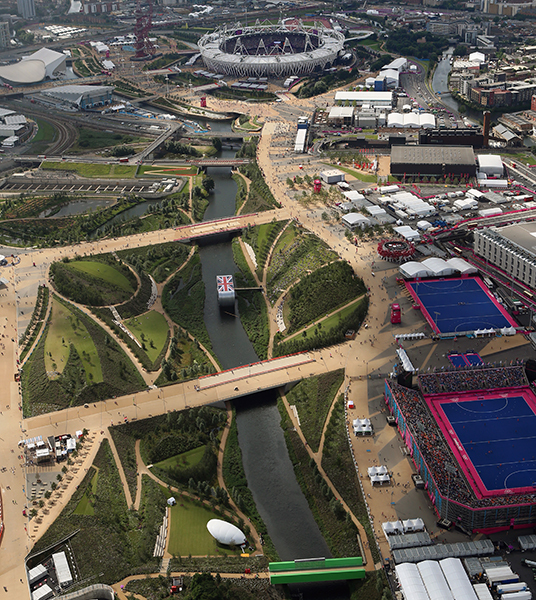 The brief was to create a striking landmark for the Park and to connect young people to the Games by bringing together their passion for music and sport. 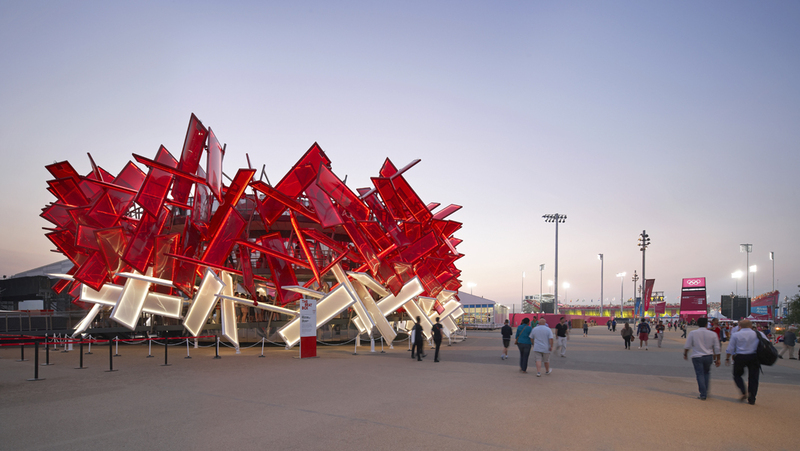 The winning concept was to create a building that you can play like a musical instrument -The Coca-Cola Beatbox- an experimental fusion of architecture, sport, music and technology. 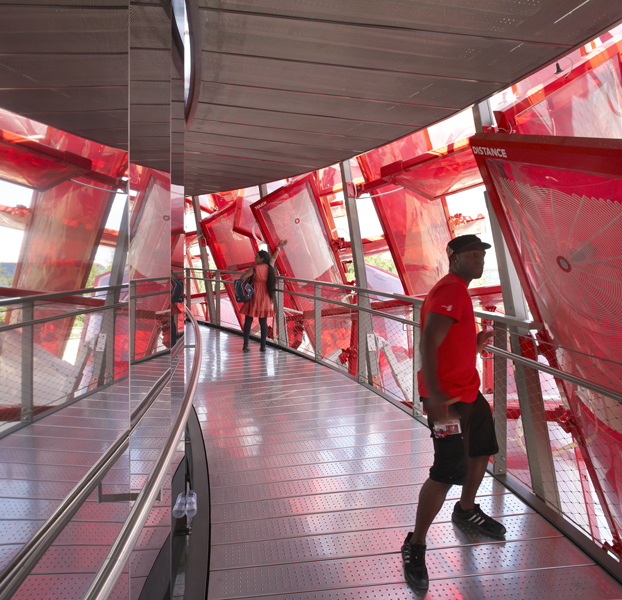 The façade consisted of over 200 inflated ETFE cushions interlocking into a giant crystalline structure. 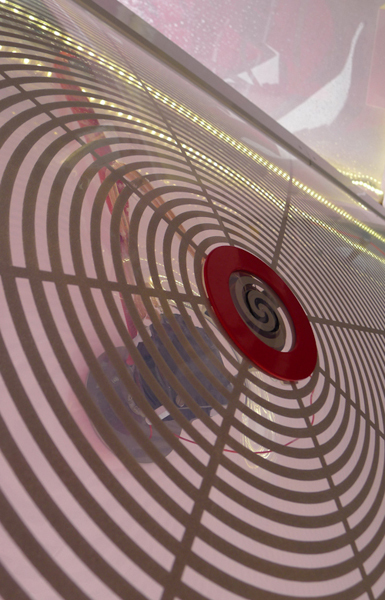 Proprietary audio, illumination and interactive sensor technologies were integrated into the ETFE membranes enabling the architecture to be embedded with rhythmical sport sounds. 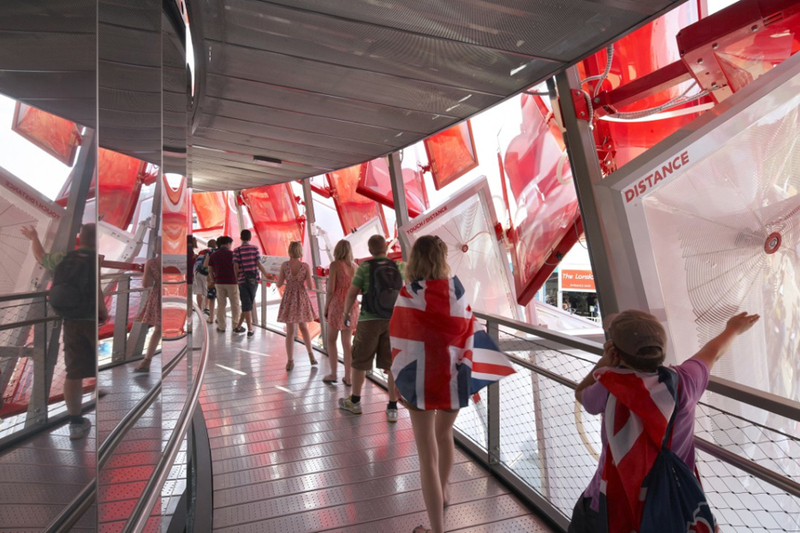 Recorded by Mark Ronson for his Coca-Cola Olympic Anthem, the sounds included athletes’ heartbeats, shoes squeaking and arrows hitting a target and could be triggered and remixed by visitors’ gestures and movements on their journey through the building.